As a rule, Laxmikant Pyarelal soundtracks from 1973-74 are worth paying attention to. 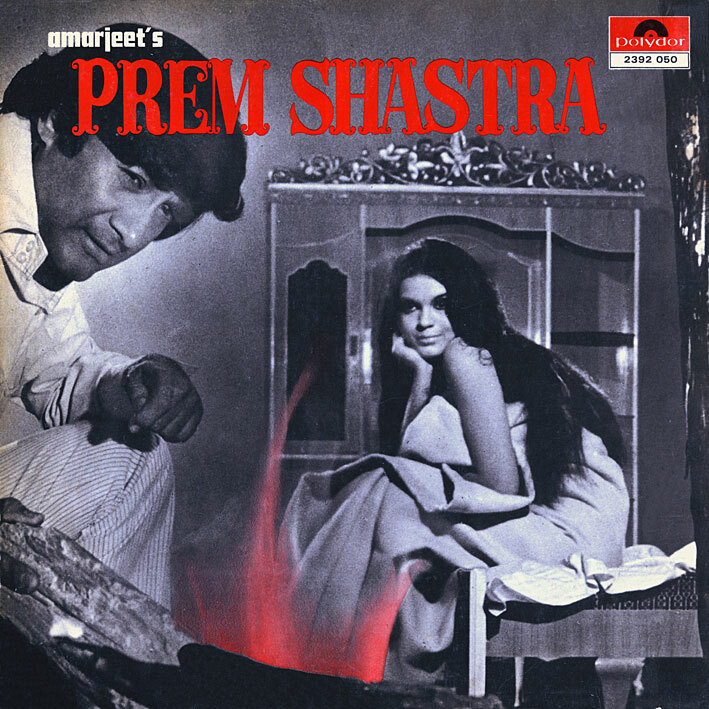 'Prem Shastra' is no exception. Perhaps not among their very best scores, it nevertheless has some fine moments. There's an odd kind of country & western feel to a few of the songs; on the charming 'Tip Tip Tip' (I love the Hawaiian guitar solo and percussion break) and the cool 'Main Sharaab Pee Raha Hoon' (Peggy Lee's 'Fever' also springs to mind) especially. 'Main Hoon Dekhane Ki Cheez' is several songs in one, all of them good; I'm additionally fond of its loungy instrumental interludes (and, admittedly, Bindu in the movie clip). Rounding things off, there's a gorgeously atmospheric title theme tune. Can't ask for much more. as usual not expecting two Laxmi Pyare in a row & never know what you would provide in future all speculations are useless as far as your uploads are concerned anyway once again thanks and advance thanks for any more Laxmi Pyare scores. Other than what immediately follows the current post, I tend not to schedule very far ahead. I don't even have that many more records to post, so the future will depend a lot on me finding more titles from my want list. There's a Laxmikant Pyarelal EP up in the not too distant future.